Our final full day here has been the busiest yet! The boys started the day differently to normal. Today was Liam’s birthday and he was woken up by all of the boys singing happy birthday to him... he was very confused at first! Group 1 headed to the lake this morning. 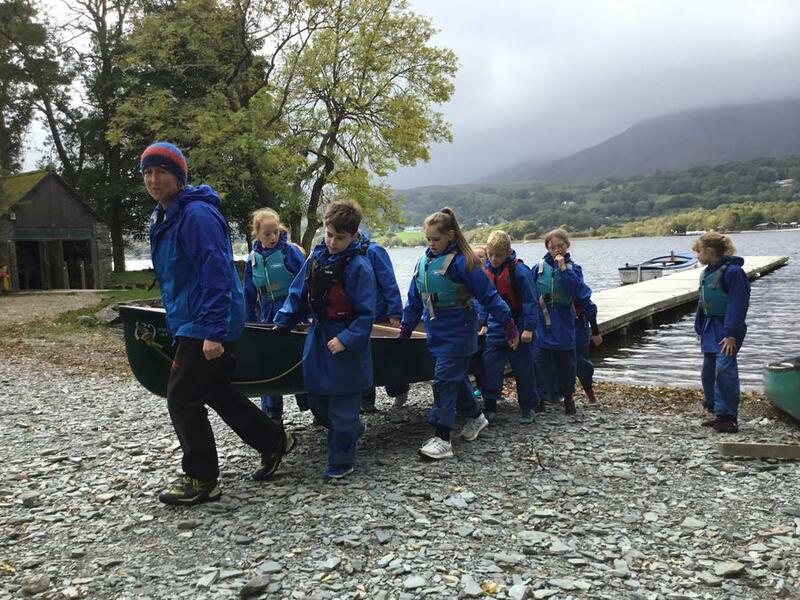 Before we could get onto the lake in our canoes, the children had to attach two canoes together with planks of wood. 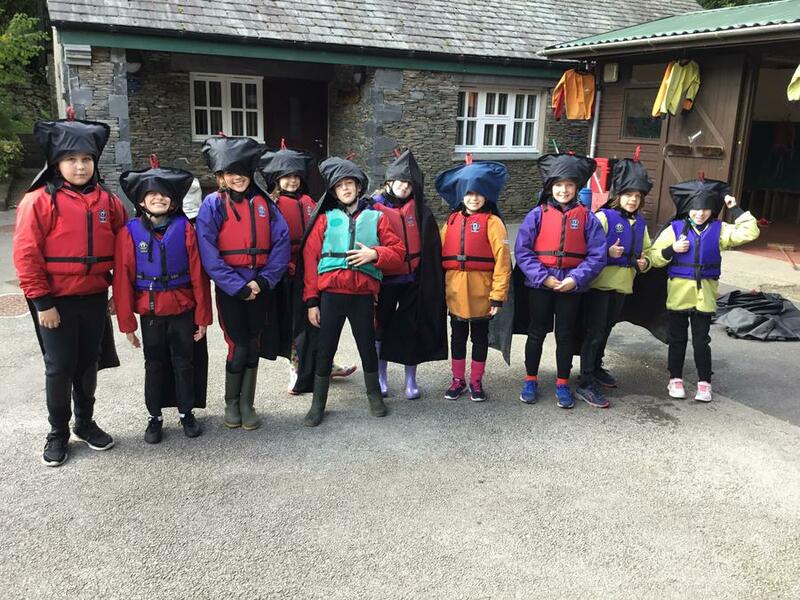 As it was very windy, canoeing was extremely difficult. 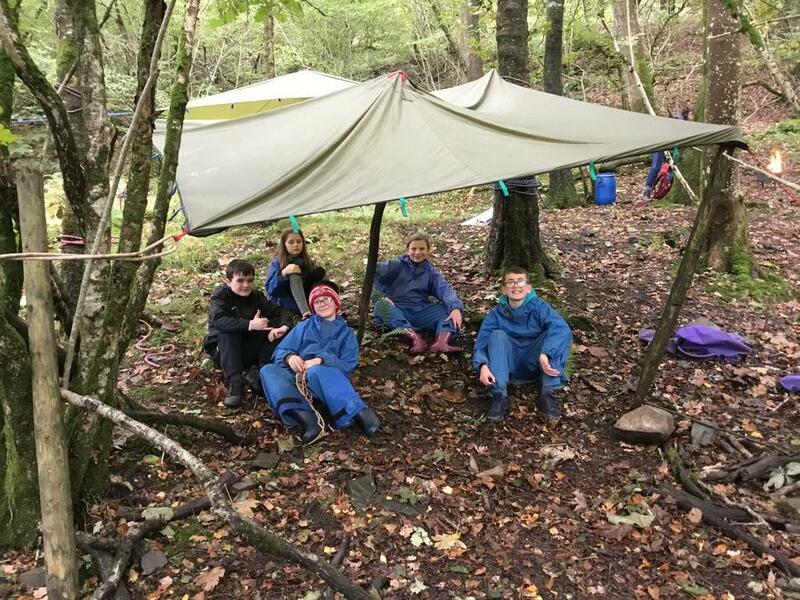 However, all children pushed through and worked well as a team to overcome the problem. I was impressed with how quickly the children worked out the best strategies to combat the wind. 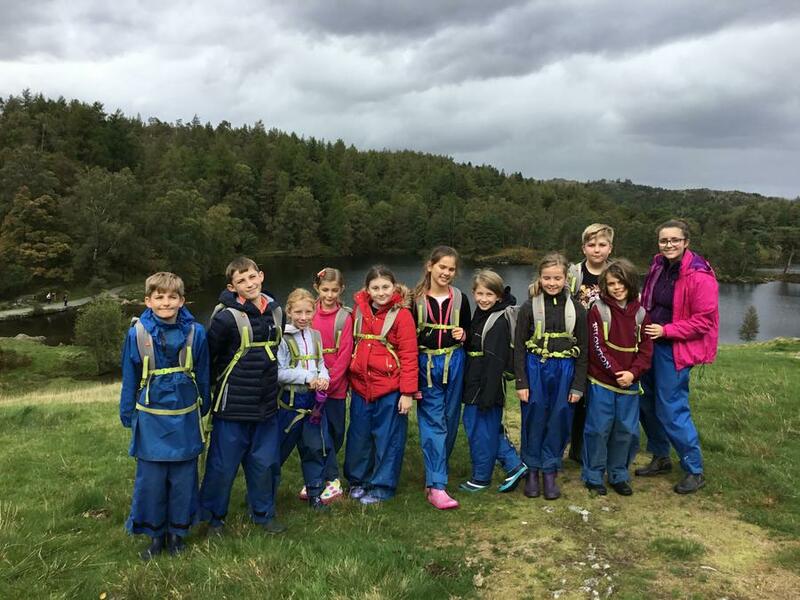 This afternoon, the children completed self-led walks. 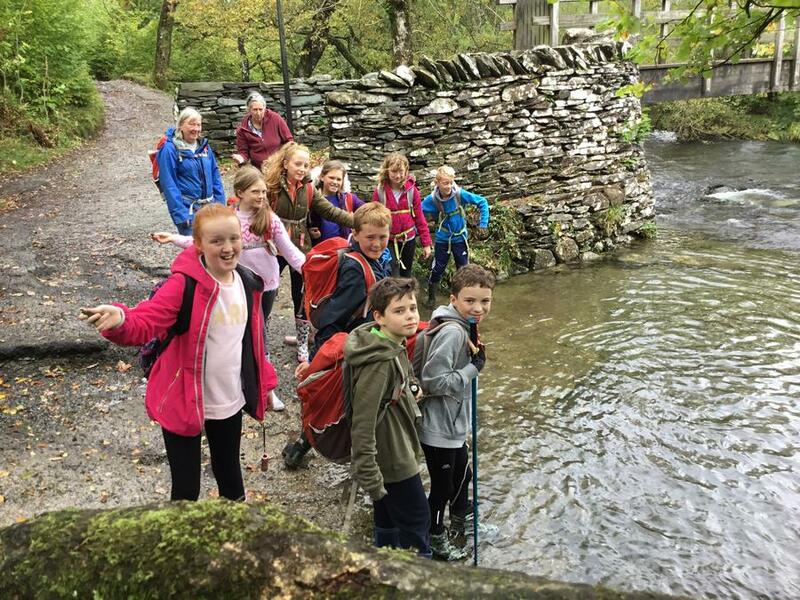 Half of the group walked from Low Bank Ground to High Cross and the other half completed the reverse journey. I shadowed both groups at different times as myself and the instructor swapped when we met at half way. 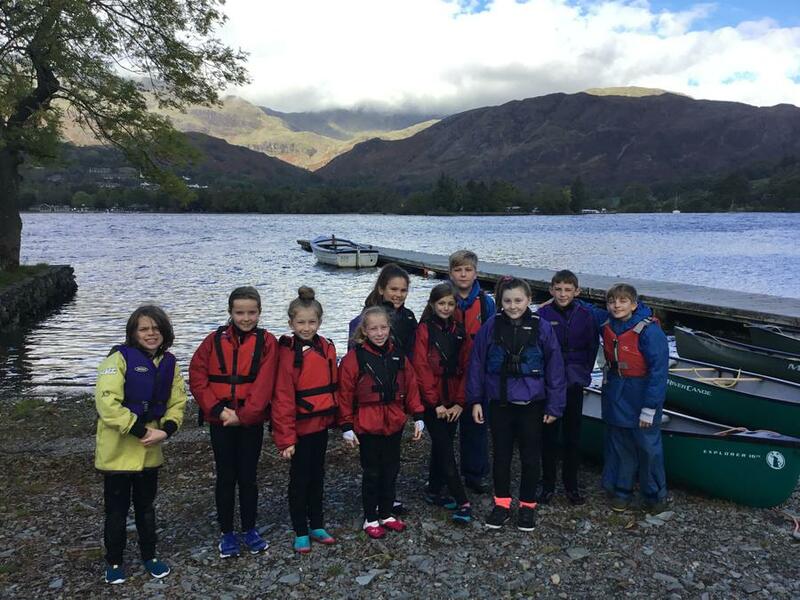 Both groups followed all the instructions and safely completed their journey. Today’s Spirit of the Games quality we were looking for was respect. 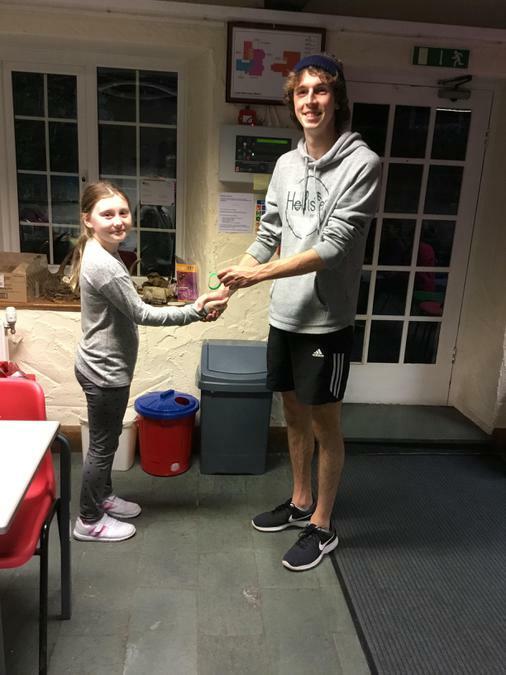 In Group 1, Dimitra won the band as she has been respectful all week to her teammates, the adults, the environment and the rest of the class. I’m yet to catch her without a smile on her face too! 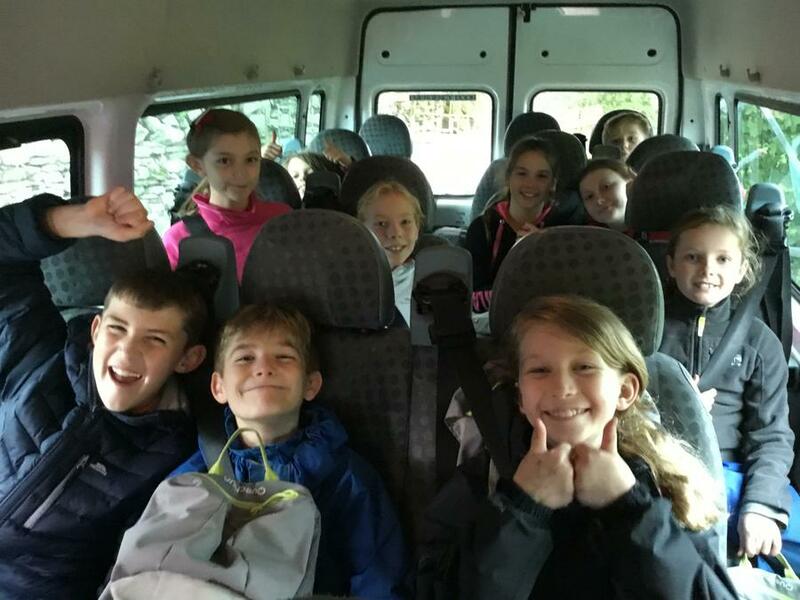 Group 3 headed to the ghyll this morning. Some children were a little frightened at first but they preserved and ended up loving the activity! 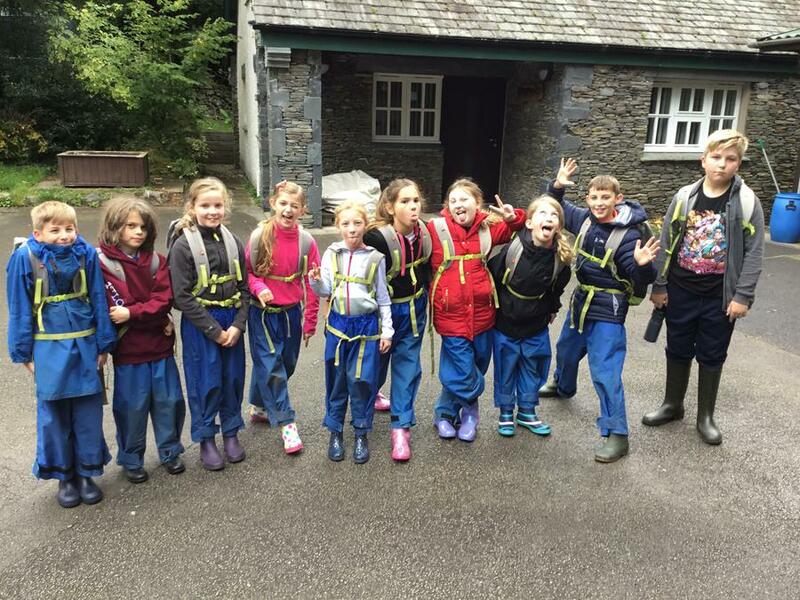 The children worked well as a team to support each other through the challenges they faced whilst climbing the ghyll. The children have been desperate to do this activity so were thrilled when they found out it was finally their turn! 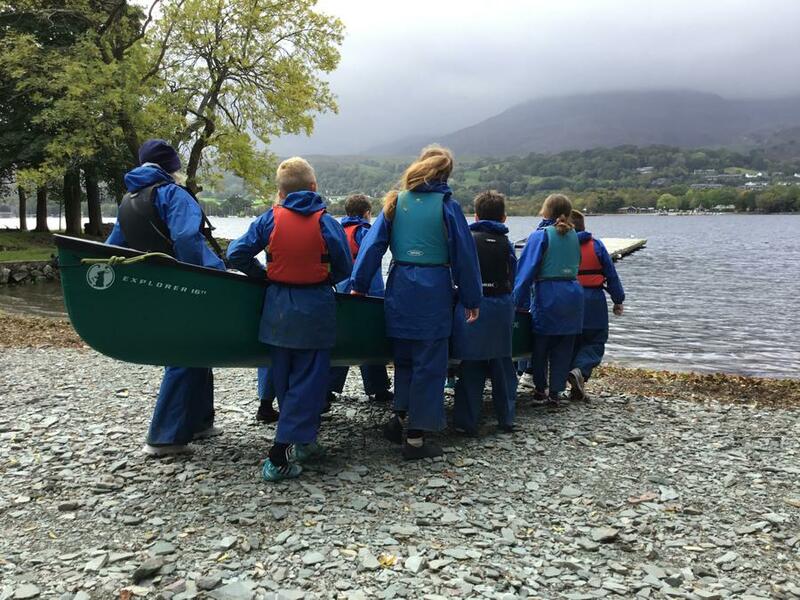 This afternoon, Group 3 went to Coniston Water and canoed. 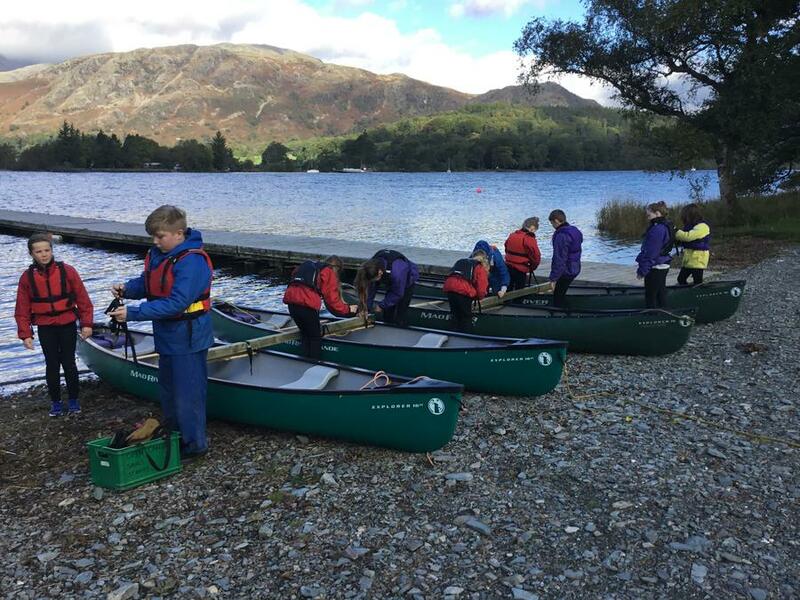 As it was so windy, the group had to attach two canoes together before setting off on the water. 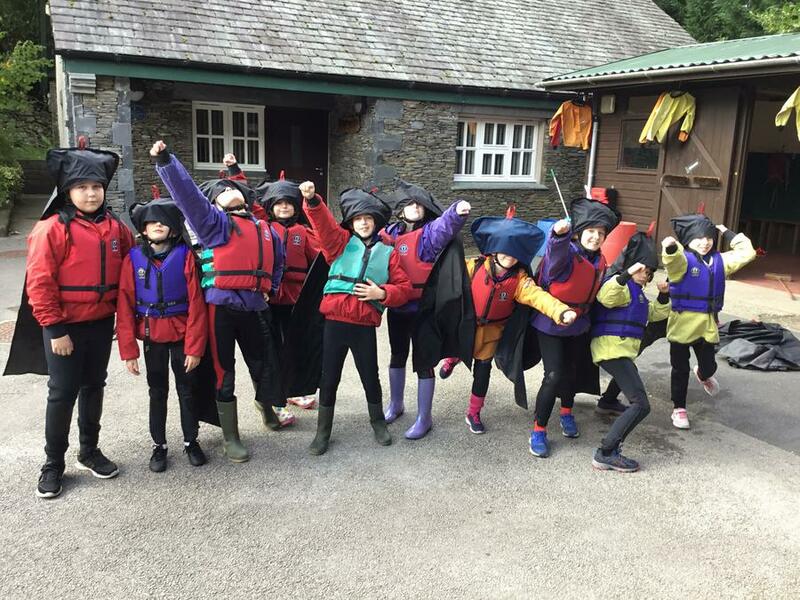 The children played games after they had mastered canoeing. The teamwork shown was impressive, especially due to the weather conditions. 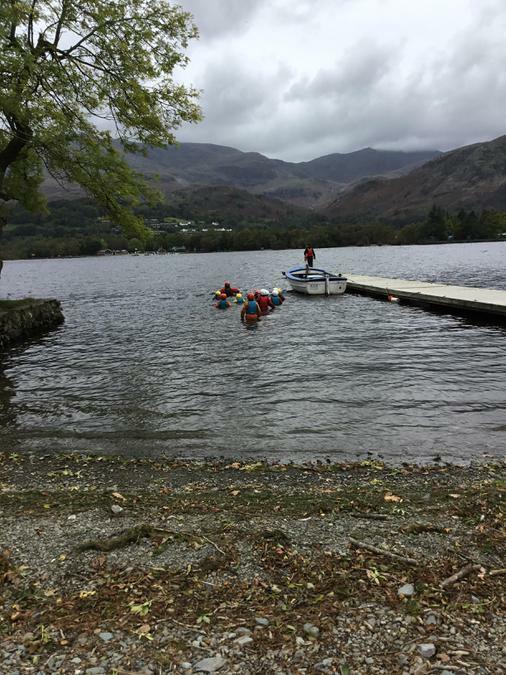 The team impressed their instructor so much they were allowed to cross the lake despite the strong winds. Today’s wristband was awarded to Evie. 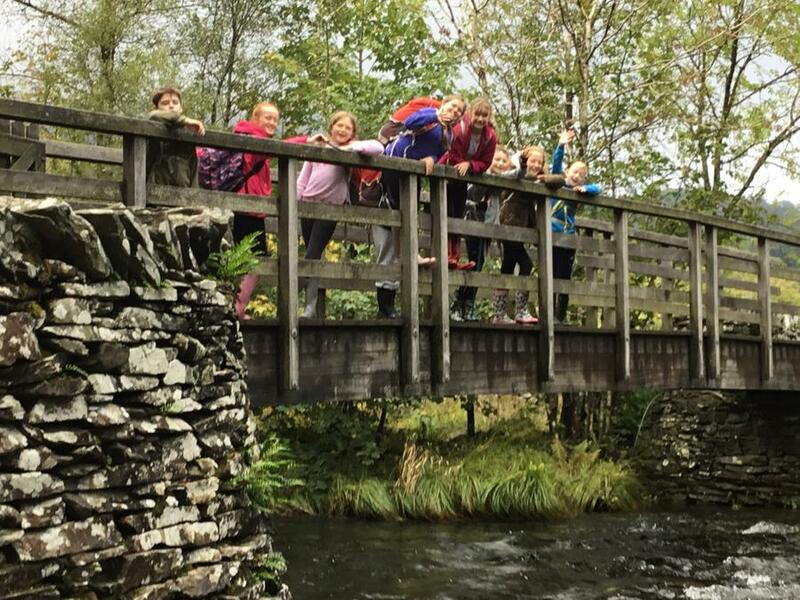 Evie has been asking daily when it’s her turn to visit the ghyll. So understandably, she was extremely excited this morning. However, Evie’s level of respect for her teammates meant that she didn’t race off ahead, even though she wanted to! 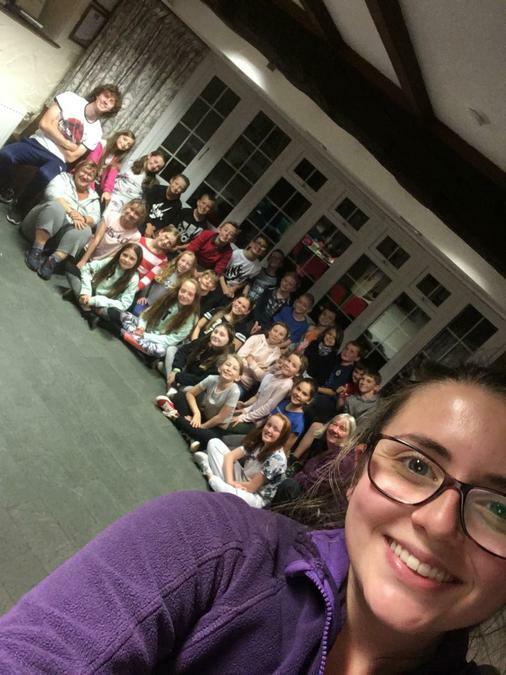 This evening, the children visited the tuck shop (expect many pencils, key rings and mugs tomorrow!). We’ve had a quiz night tonight too. We have all had such a good laugh and we couldn’t have asked for a nicer end to our final day. There won’t be a post tomorrow as I’m sure you’ll all understand I’ll be far too busy ensuring all of the things brought are returned home! We already have a pile of unclaimed clothing ha ha. To end the blogs, myself and the rest of the staff here would like to thank you for raising such amazing children. They have all filled us with pride this week, had us laughing until we’ve cried and have genuinely been a pleasure to be around. See you all tomorrow. I’ll post on SeeSaw if we’re expecting a delay. We cannot believe that Wednesday is over already! We’ve all had another action-packed day. 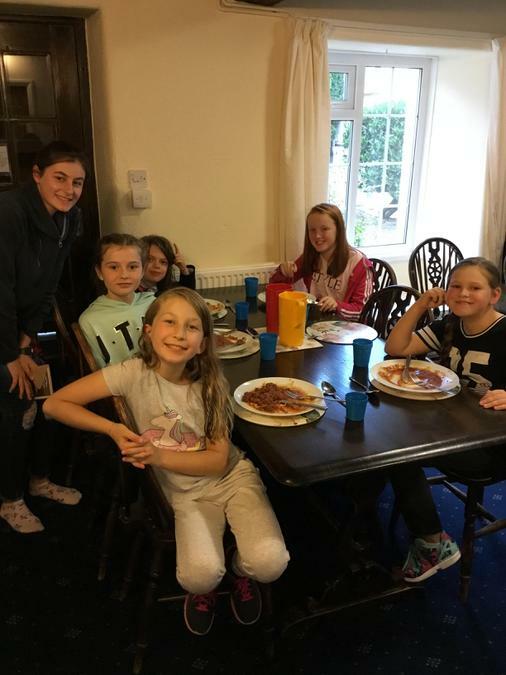 Mrs Boardman inspected the bedrooms during breakfast time and every single room had improved greatly since yesterday’s inspection. I’ve told the children I’ll be telling you all how they are able to keep their bedrooms tidy and many of them said you won’t believe me ha ha. 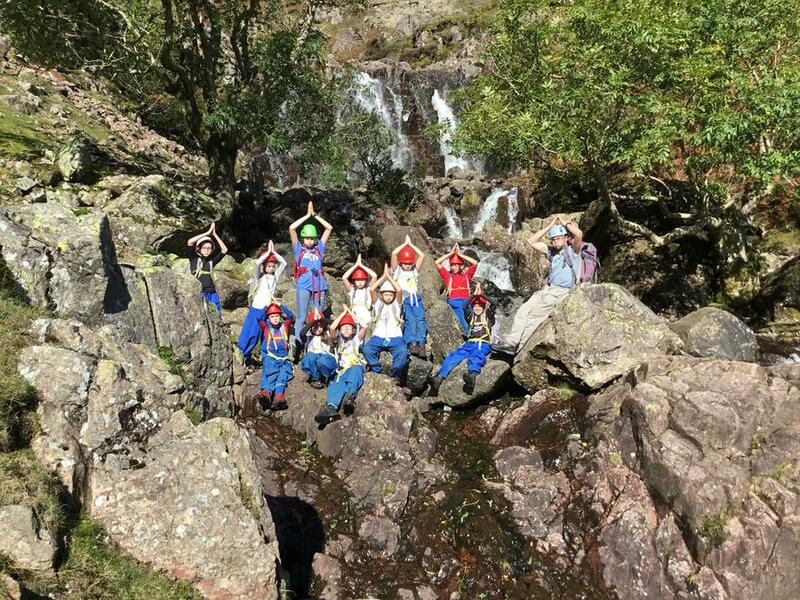 This morning, Group 1 headed to Little Langdale to go into an old slate mine. 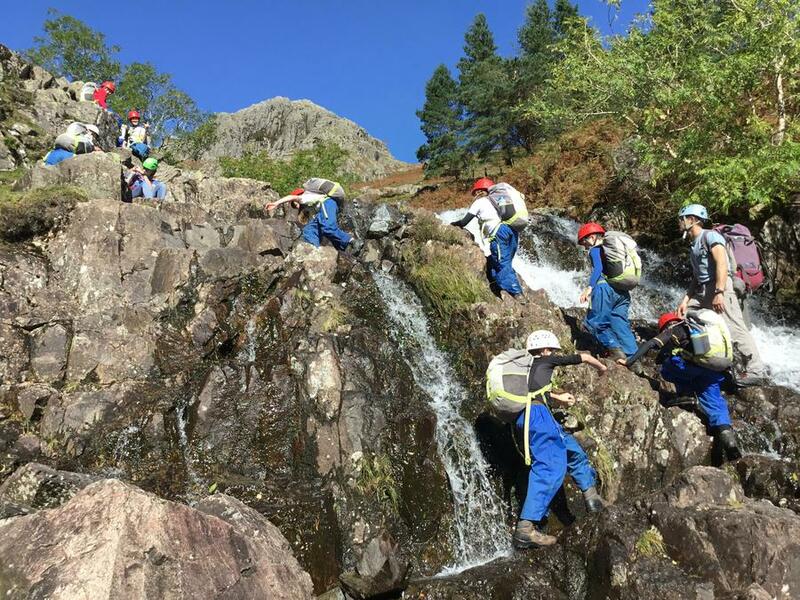 We had a very scenic walk to the quarry where we discussed slate (a lot!). The children were fascinated that they could split the layers of slate using another rock. Once we arrived at the quarry, known as Cathedral Cavern, we headed inside and we were told all about how where we were standing was once all filled with rock. Afterwards, we went to the dark part of the quarry and entered as the miners would... in the pitch-black. 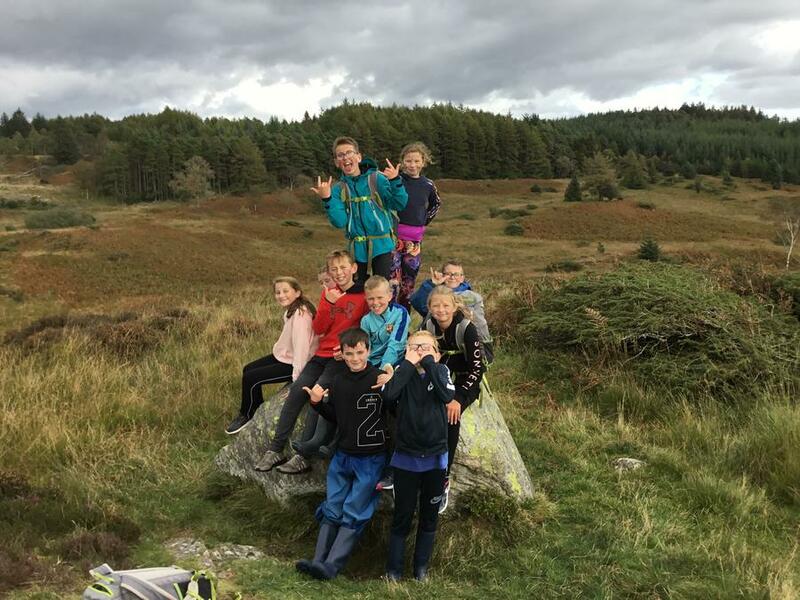 I was extremely impressed with how fearless all children were in the group and how they all stuck together to ensure everybody was safe. This afternoon, we headed to the lake to go kayaking. 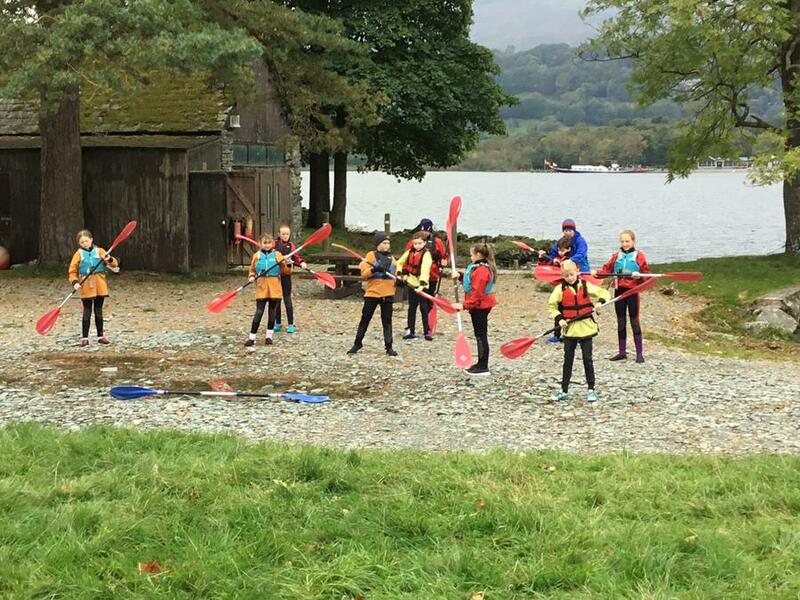 We learned how to kayak on the smaller pond before taking our kayaks over to Coniston Water. Because the wind was too strong, we couldn’t get across the lake but we played some games and had a lot of fun! 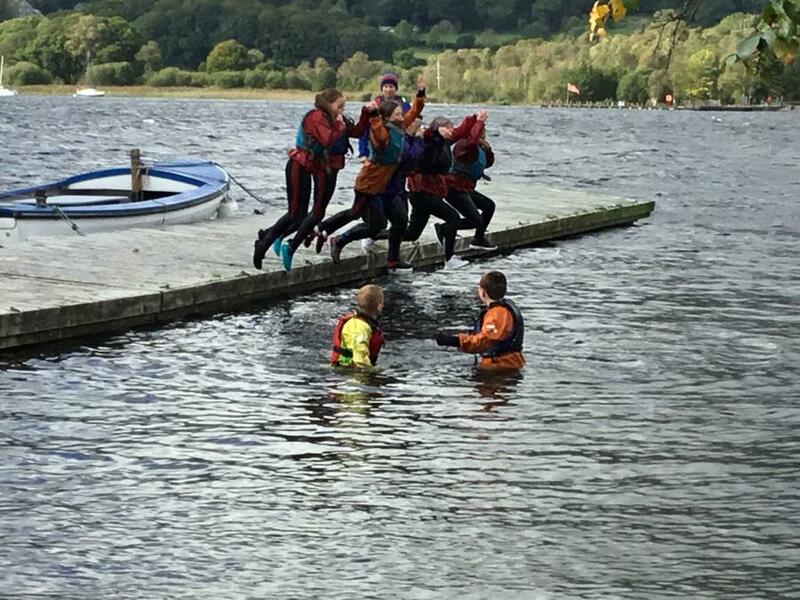 To finish our activity, we were allowed to jump off the jetty into the lake. Many of us did this and even though the water was very cold, jumped in multiple times. The Spirit of the Games quality we were looking for today was passion. 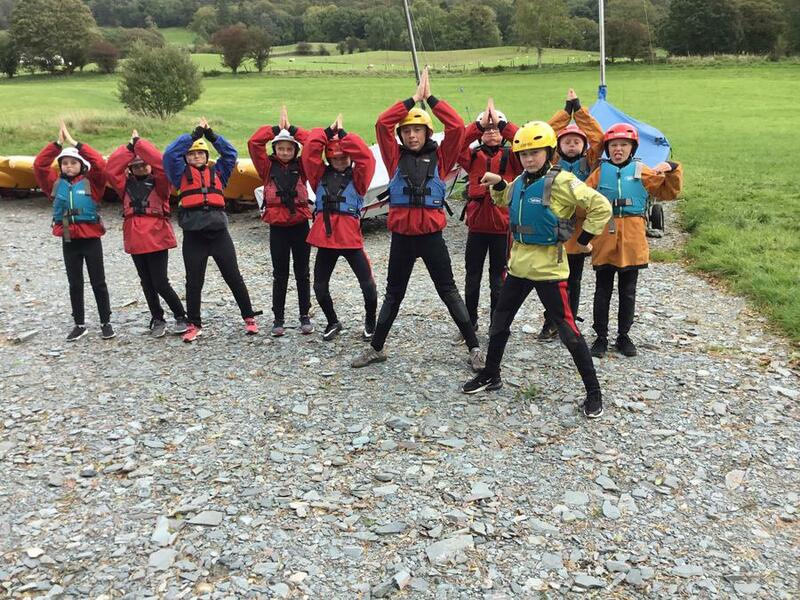 In Group 1, it was extremely difficult to identify one person as all children have shown passion in different ways. However, as difficult as it was, I had to pick one! Evan has shown great enthusiasm in all activities today. What set him apart though was his passion to help other members of our group when they needed support. Well done Evan. 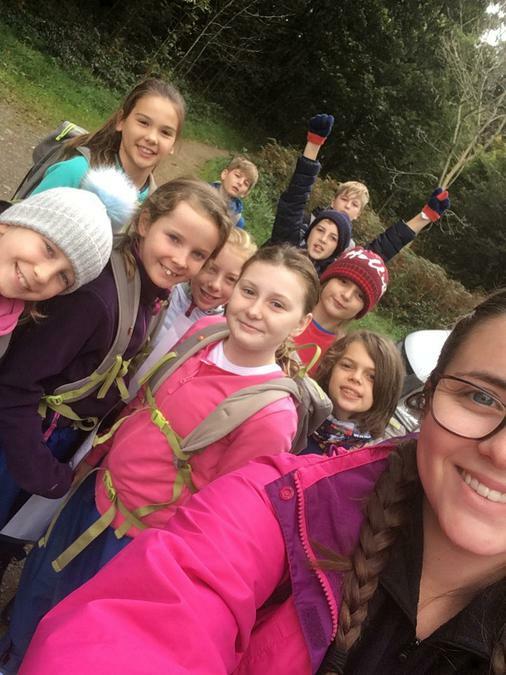 Group 3 started their day with a self-led walk. 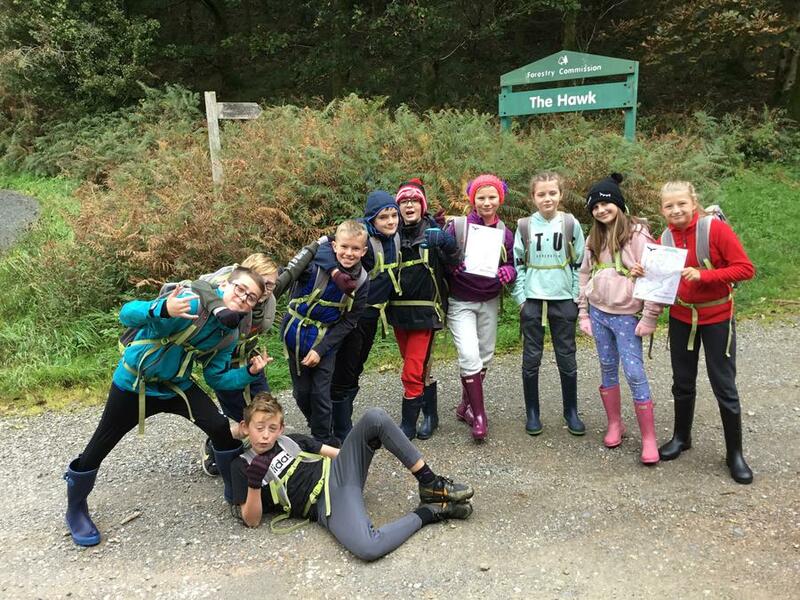 Children worked in smaller groups to complete the course. Both teams worked extremely well together and overcame minor obstacles along the way. The teams both used the photo cards and instructions to find their way back to the centre. 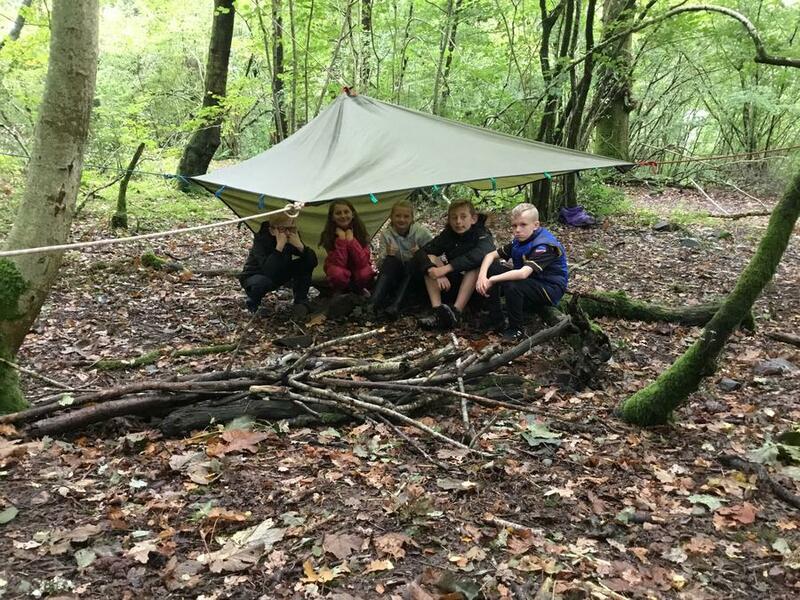 Mrs Redding and Mrs Boardman were extremely impressed with the way the groups worked together, supported each other both took lead when needed but stepped back to work as a group. 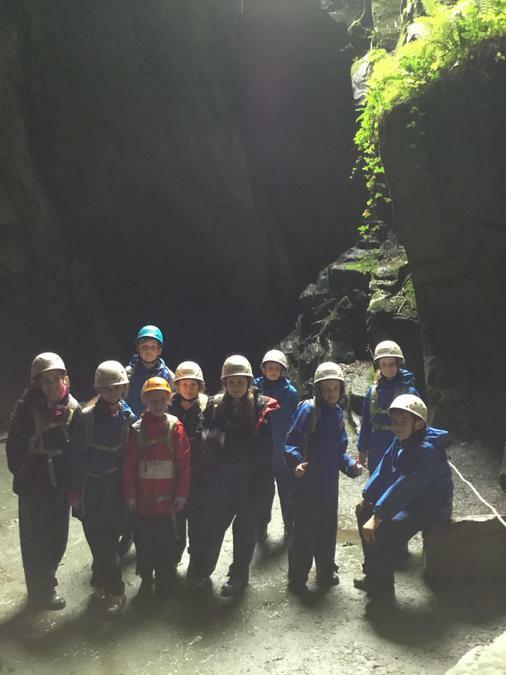 This afternoon, Group 3 hopped on the minibus and headed to Cathedral Cavern. 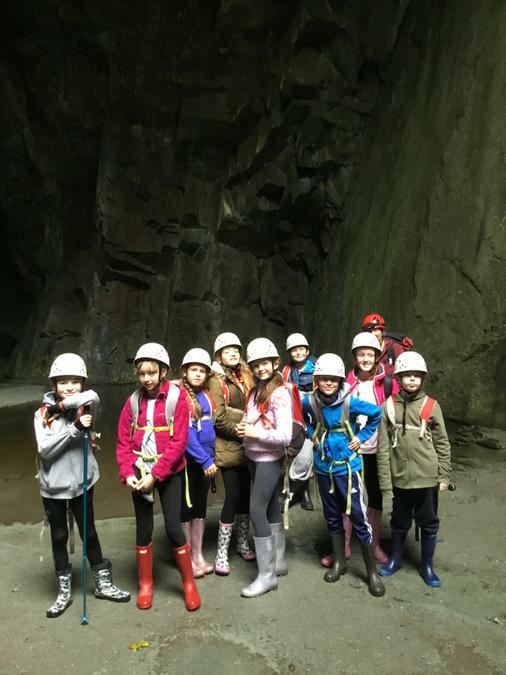 The group worked well together to overcome some fears of the dark in the pitch-black quarry. Whilst in the quarry, the children lit candles as their source of light just as the miners would have done many years ago. 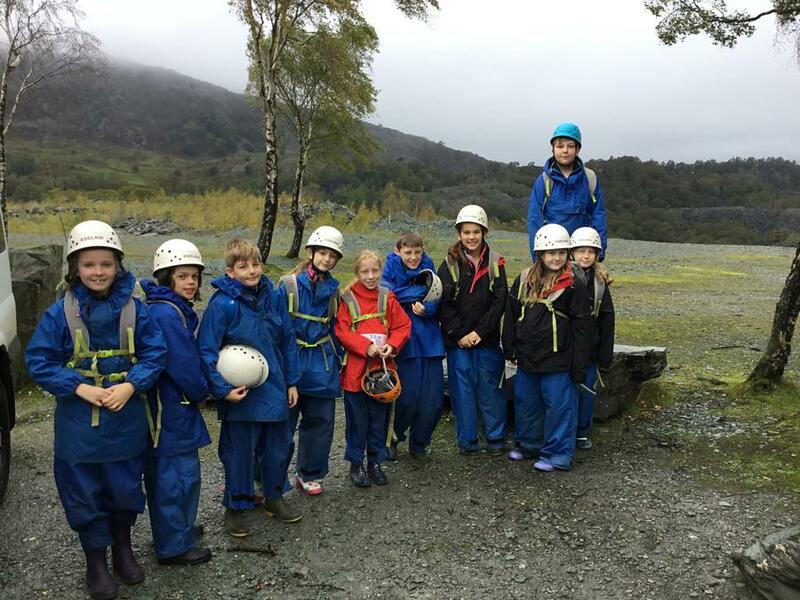 All children worked hard to support each other and see as much of the quarry as they could. Today’s wristband was awarded to Ethan for his enthusiasm for the afternoon activity. Not only was Ethan passionate about the activity, his enthusiasm to help his teammates was clear too. 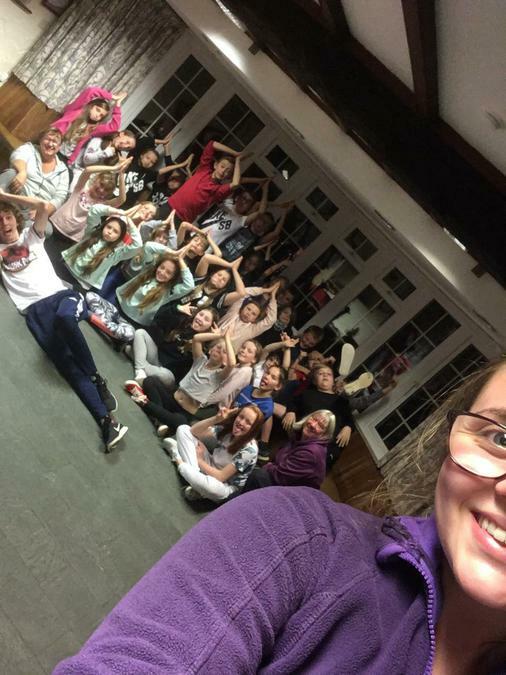 This evening, we have done nighttime orienteering which was competed successfully. 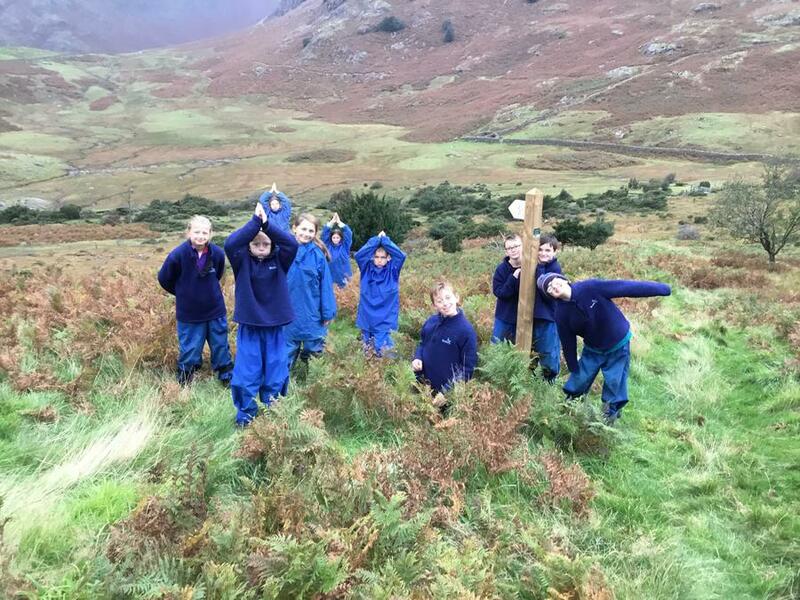 Children worked in groups of 3 to navigate their way around the Low Bank Ground site. The children were asked to work with people they hadn’t worked with so far this week and they embraced this fully. My job was to set the children off and wait for them to return in the meeting room. As I was waiting, I had a lot of time to reflect on the week and I can honestly say I cannot believe it’s Wednesday already! 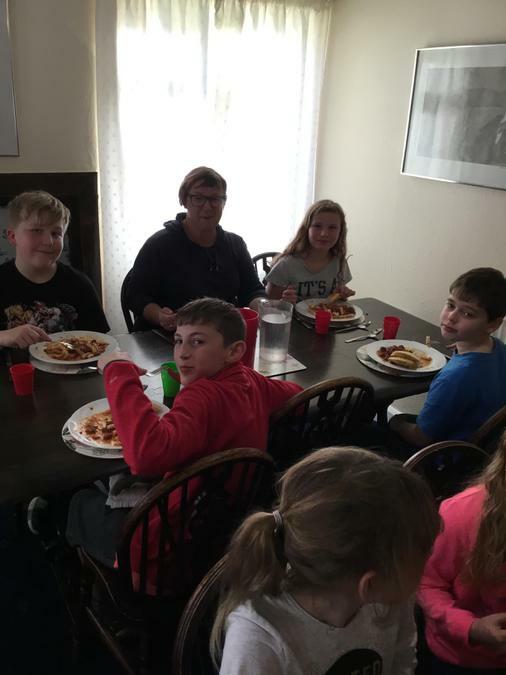 I am thoroughly enjoying getting to know your children better and they are all impressing me in different ways and showing me different skills they have that I wasn’t aware of. A slightly earlier post tonight as I had time to start writing it whilst waiting during the orienteering. A very busy day today! 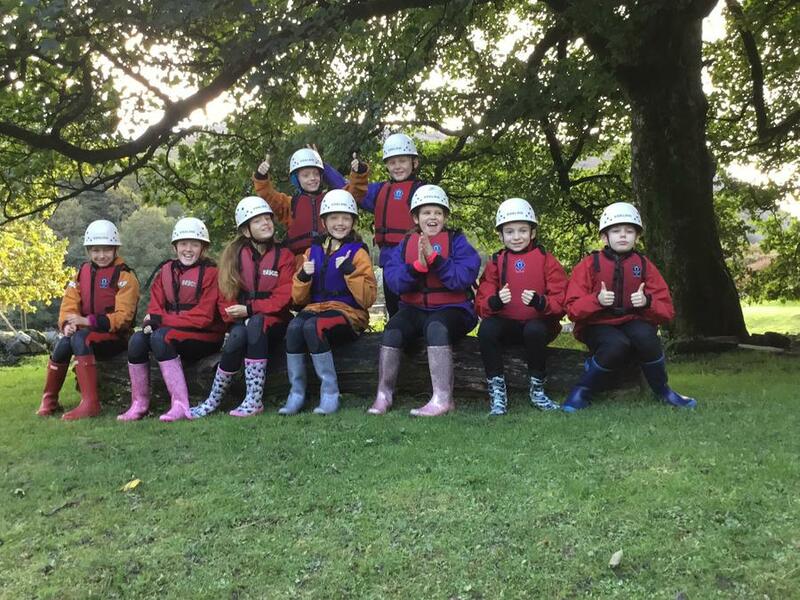 All children started the day brilliantly by getting up after their first wake up call... we couldn’t believe it! We had a huge breakfast to fuel us throughout the morning (the hot option today was a bacon barm). All rooms were inspected and we have some very high scoring rooms already and we have a few rooms who had a number of improvements to make. 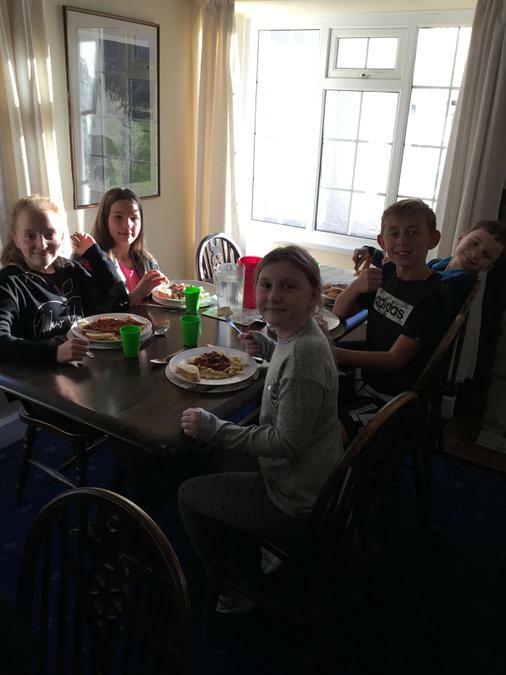 The children had some time after the evening meal to prepare their rooms for the next inspection. 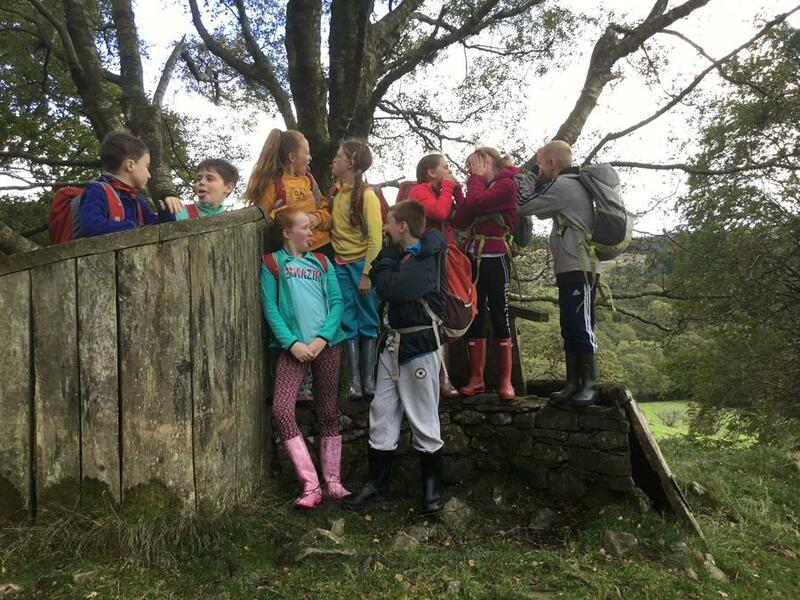 Today was a little different to normal as groups 1 and 2 joined forces this morning and went orienteering together. 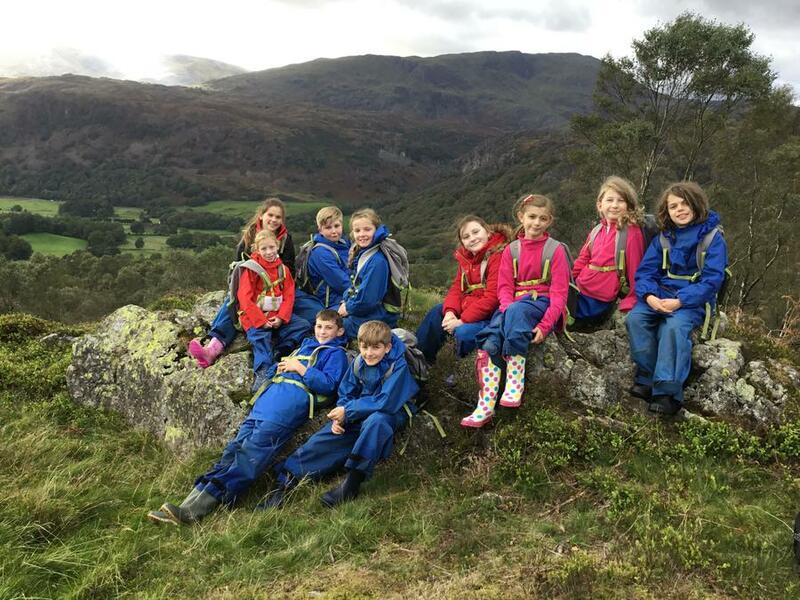 The children split into smaller teams and set off after a briefing over safety and how to read their map. 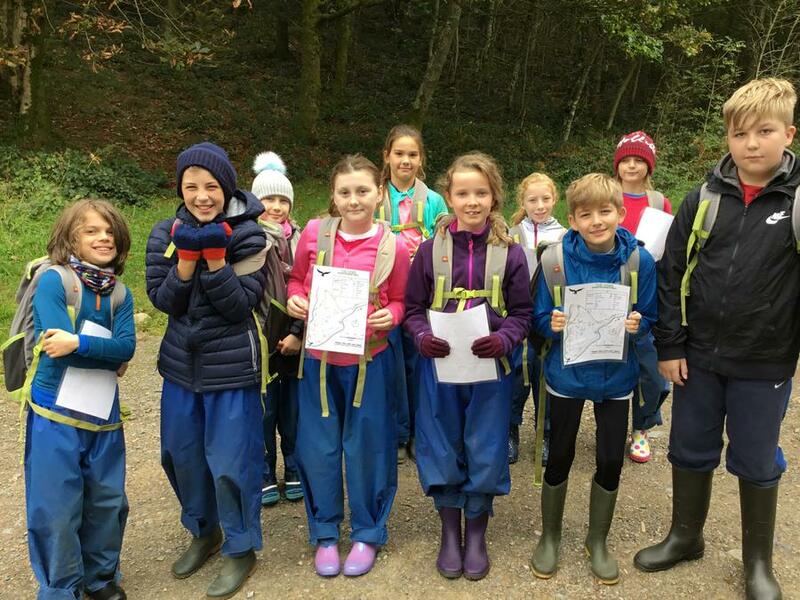 All children were successful and found all 18 points on the map quickly. Because the children finished so rapidly, we had some time to play a game in the forest. The game involved hiding in the forest and reaching the goal destination without being spotted. All children loved this game and some have asked if we can set up a course on the field to play when we get back home! 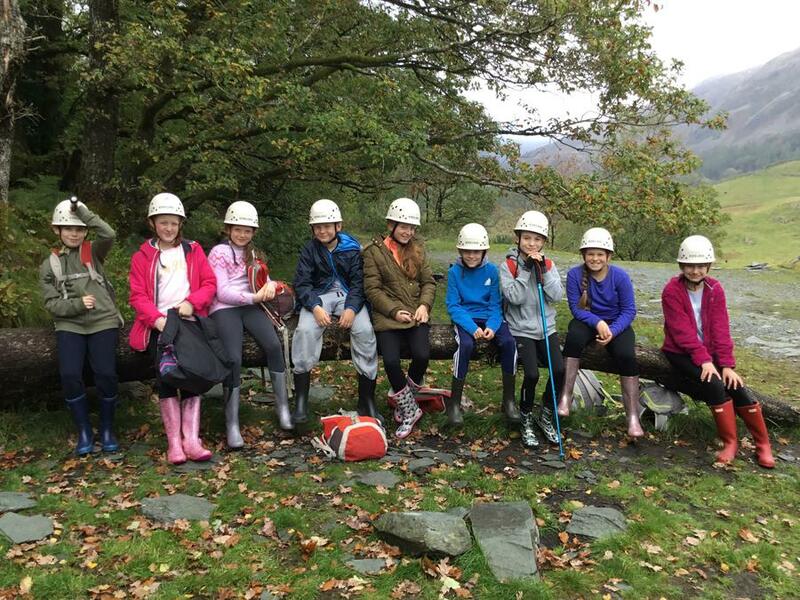 In the afternoon, Group 1 went ghyll scrambling. 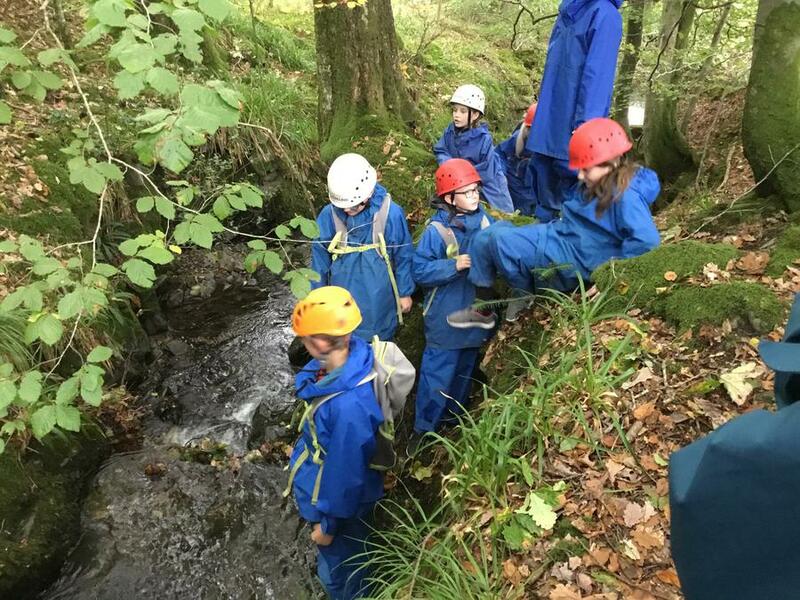 We went to the more adventurous ghyll and we all had the opportunity to crawl through gaps within the rocks, walk through a waterfall and jump into the deep pools of water within the ghyll. 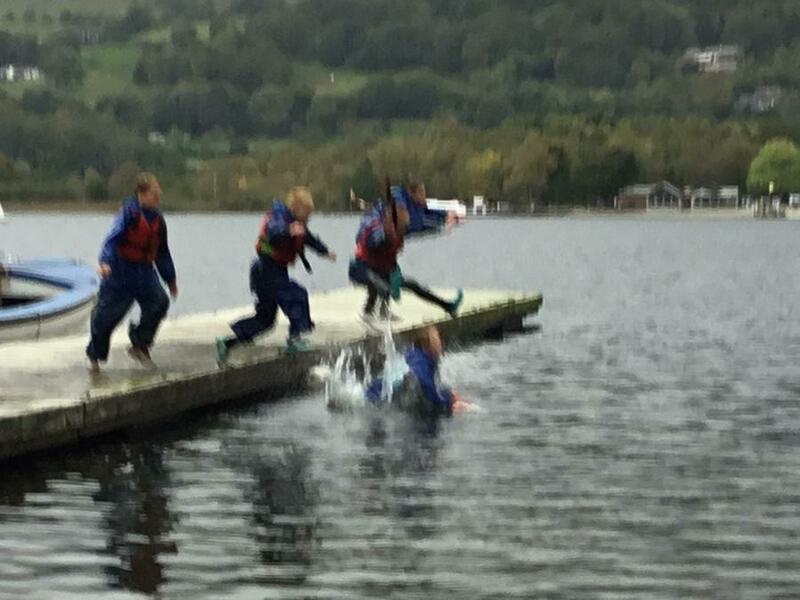 The children weren’t fazed by the cold water and they all got stuck right in! I was also impressed by the levels of independence and the teamwork shown. 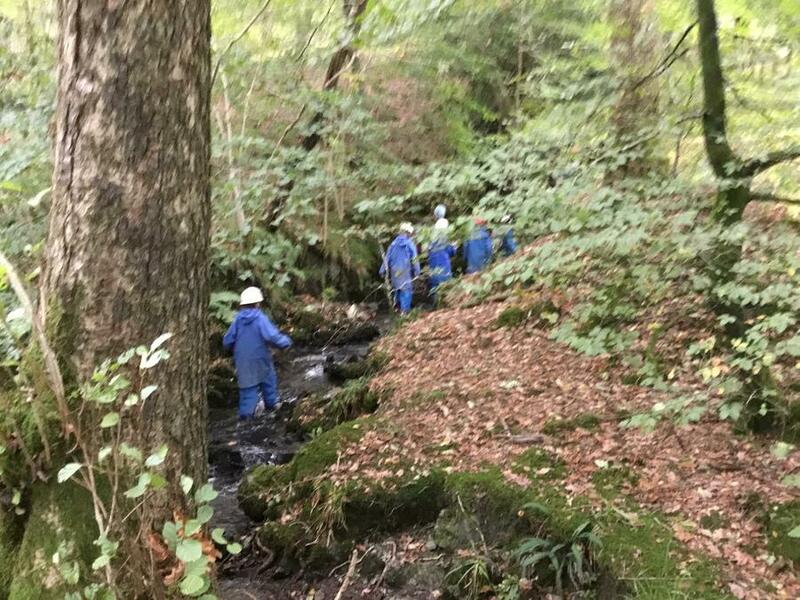 All children tried their best to climb up the ghyll independently but there was always a helping hand ready to be taken when needed. 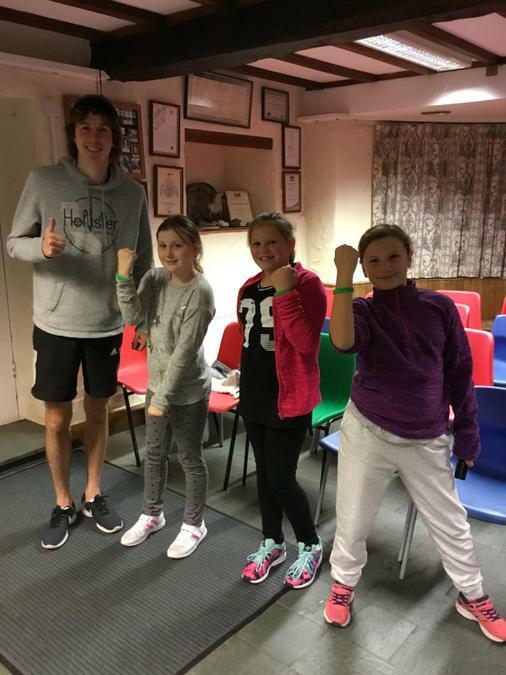 Today, our Spirit of the Games Determination band was a awarded to Ashton. 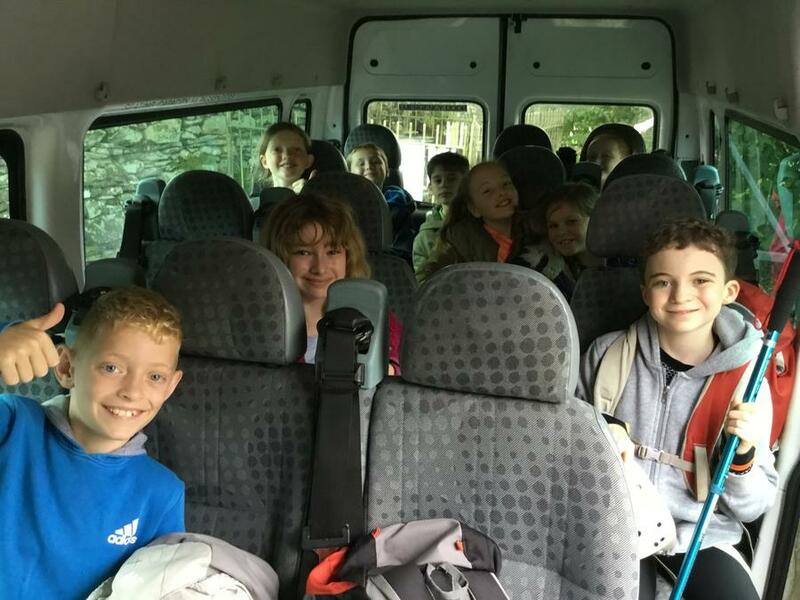 Ashton wasn’t keen initially and it took some encouragement to get Ashton ready and on the minibus! 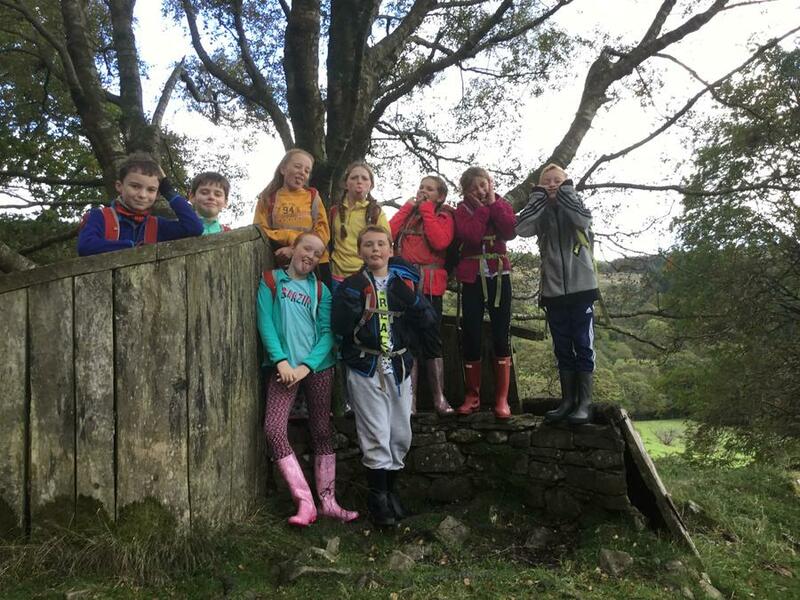 However, once we arrived at the ghyll Ashton was like a different person and he was even one of the first to climb down in! 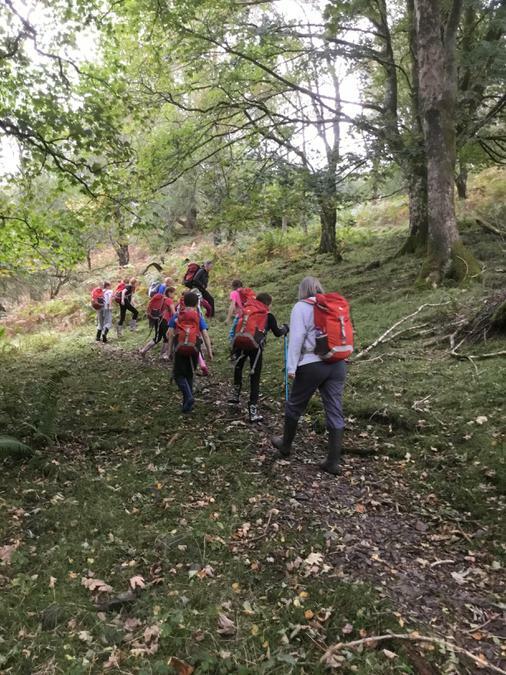 Group 2 headed down towards Coniston Water this afternoon. 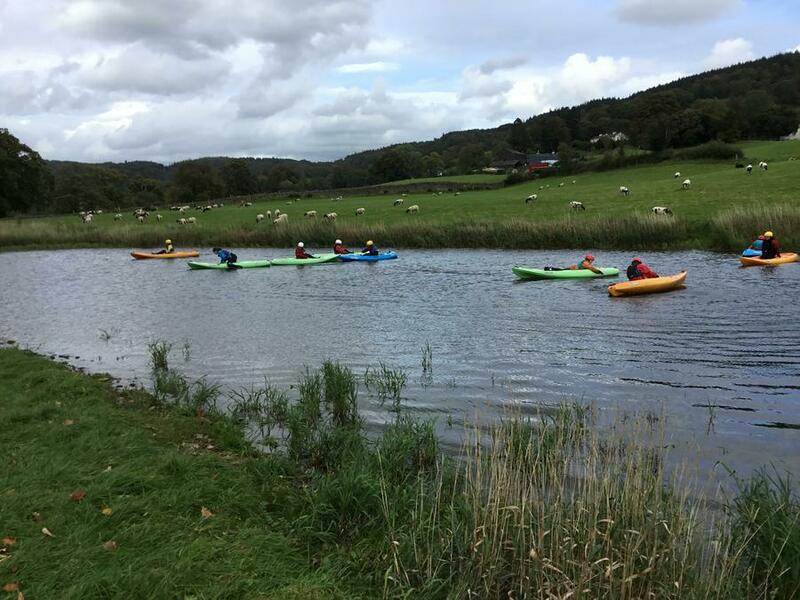 The children were incredibly enthusiastic to get out onto the water and begin kayaking. 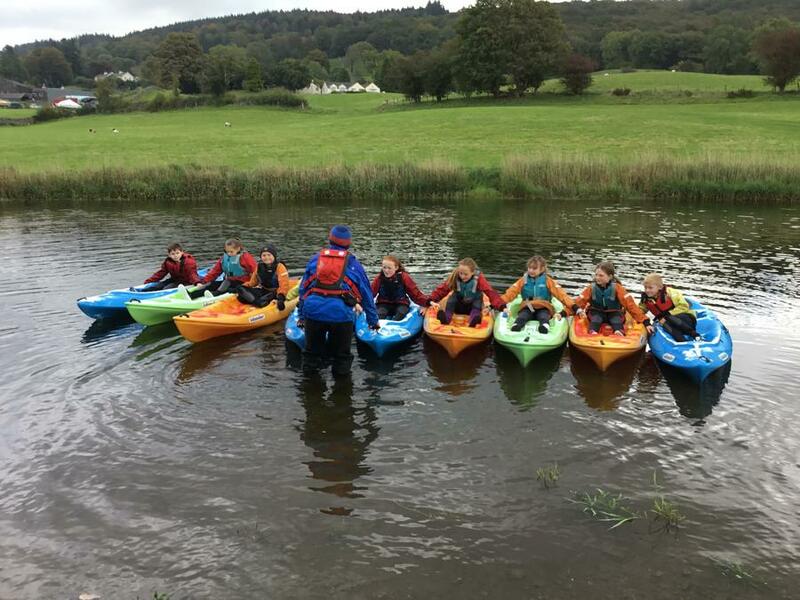 Of course, they took to it naturally and were standing up in their kayaks in no time at all, showing their confidence! 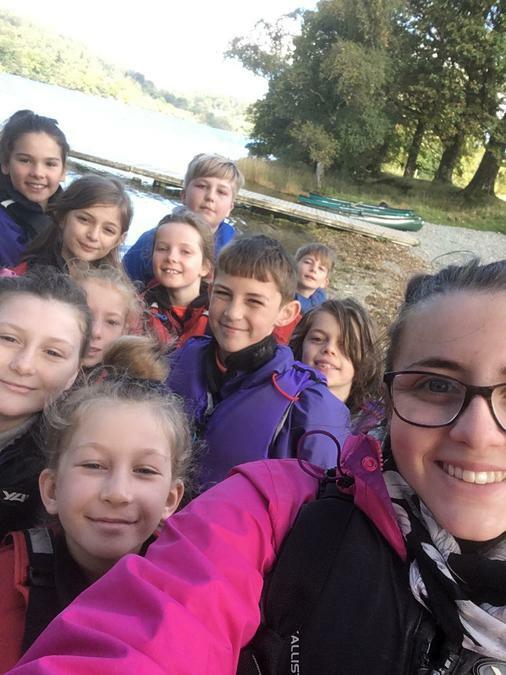 Whilst out on the water, we played ball games and completed tasks focused around building teamwork. 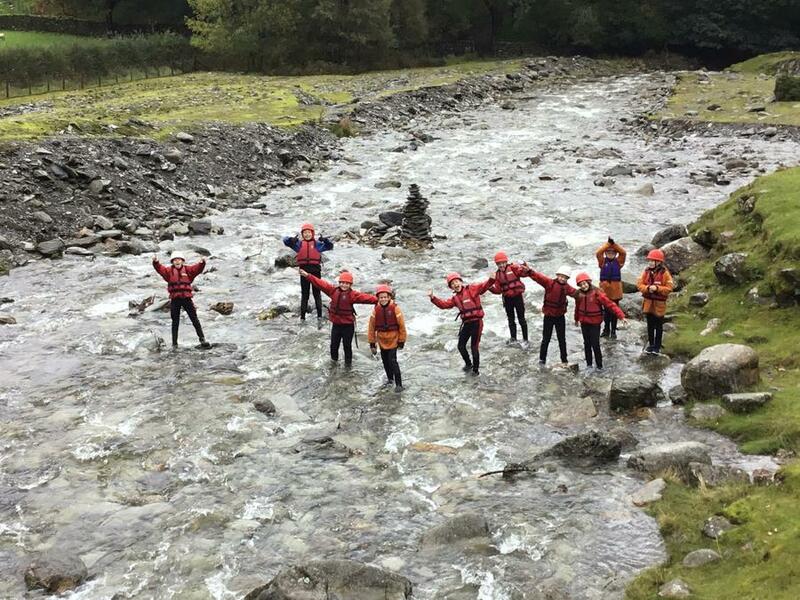 A few of us fell in but that didn’t dampen our spirits! After that, came the main event... jumping in the lake! 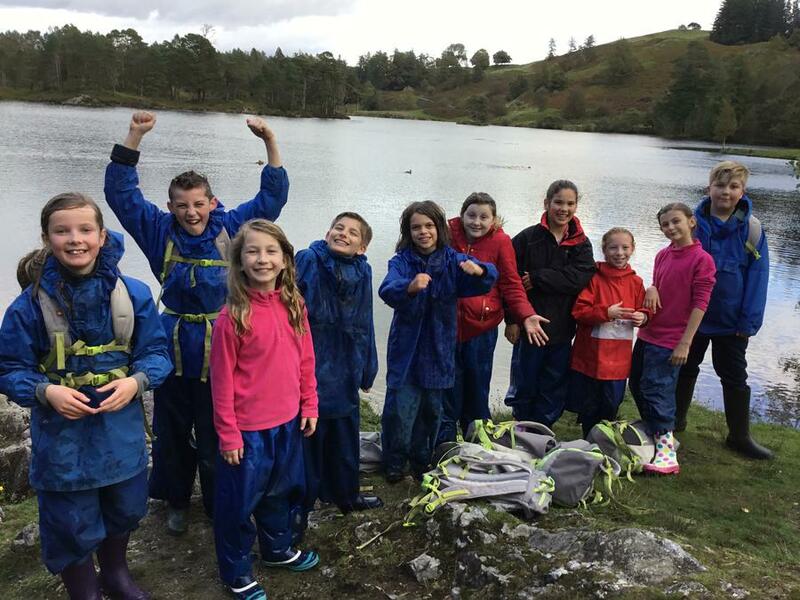 The freezing cold water didn’t put us off! 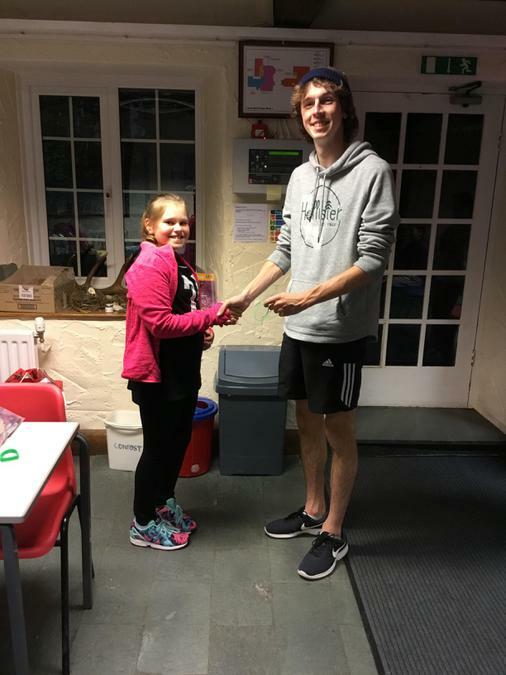 Group 2’s Determination Spirit of the Games wristband was awarded to Claudia for embracing every challenge with a smile on her face and in good humour. Group 3 had an equally exciting day. 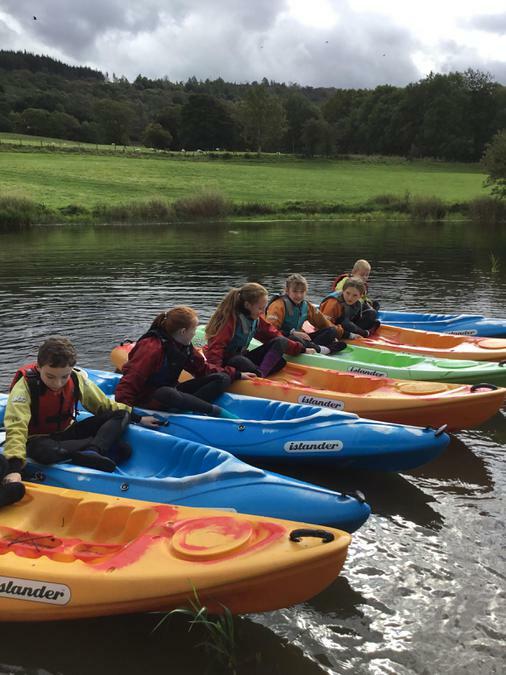 They started off kayaking... the first group to do a lake activity! 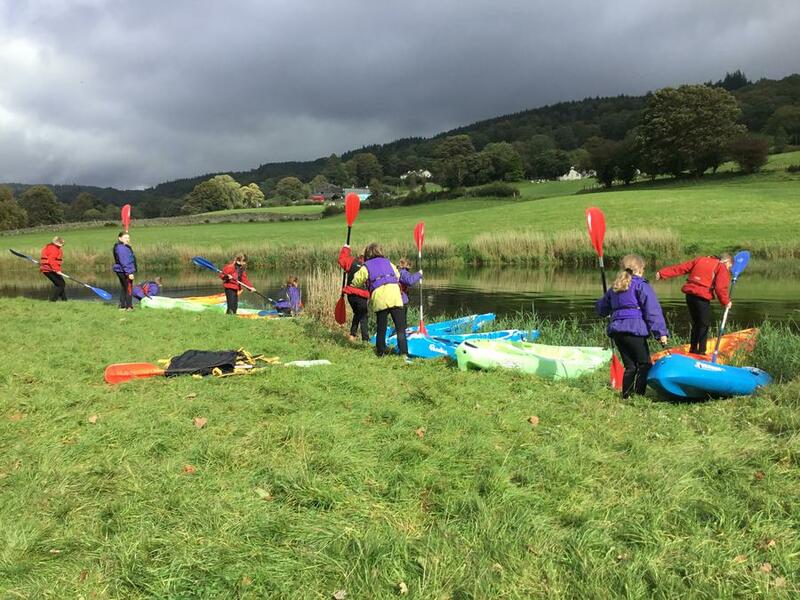 The children all worked extremely hard to build their skills on land before entering the water in their kayaks. The l didn’t let the wind put them off! They powered through the cold weather and achieved great success. 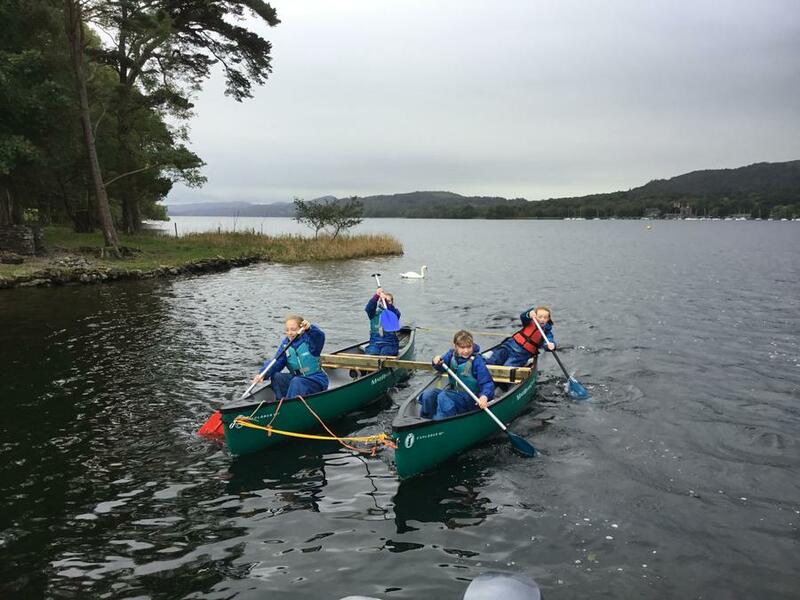 Once the children were confident kayakers, they were allowed to play games on the water. 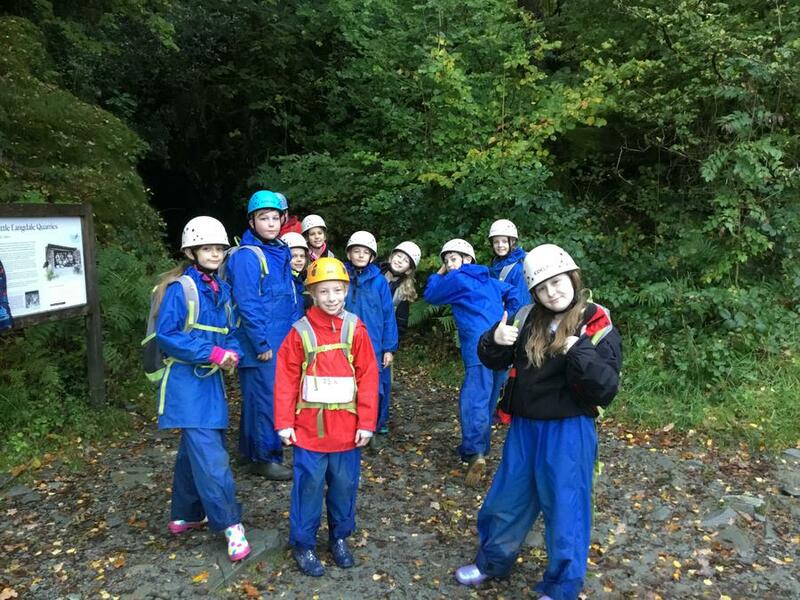 Mrs Redding and Mrs Boardman were impressed by the teamwork shown within their group. 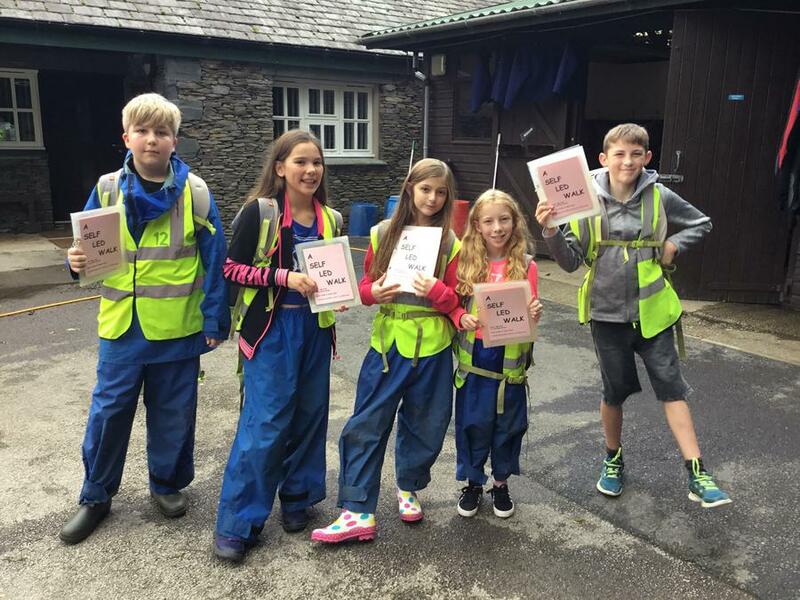 This afternoon Group 3 went off orienteering. The children split into groups of 3 and headed off with their maps. 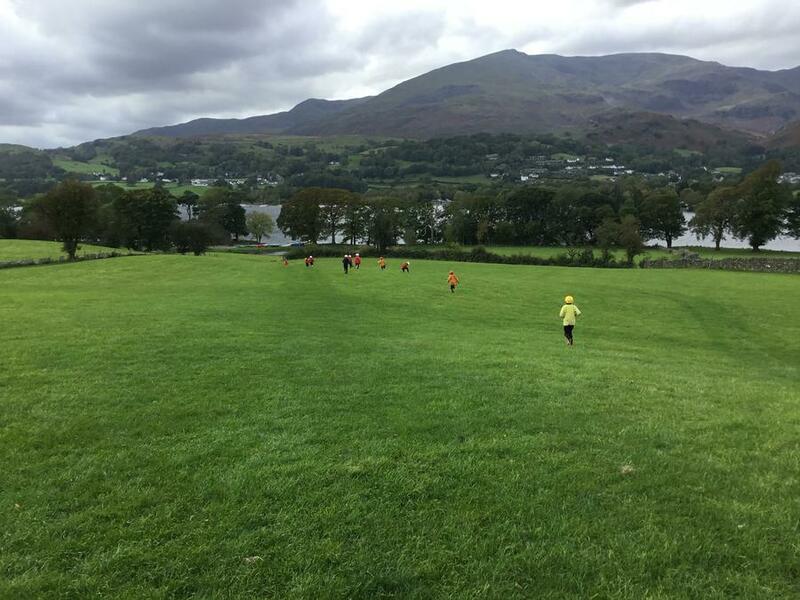 All children were successful in completing the course and are already asking if they can do night time orienteering on site tomorrow! 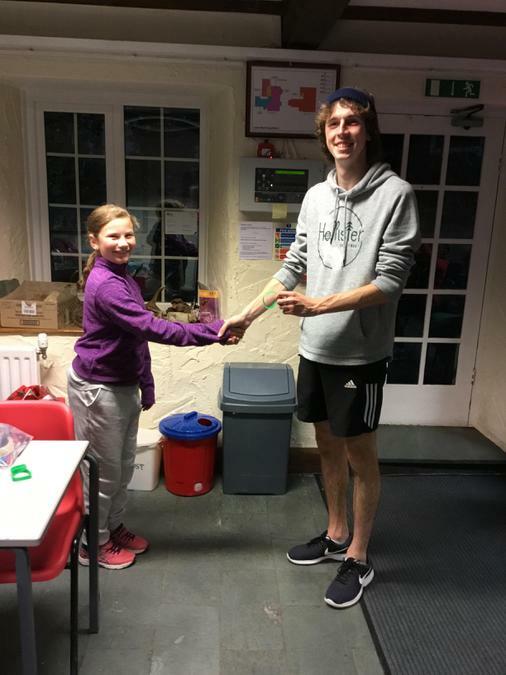 The Group 3 wristband was awarded to Sam. Sam showed great determination throughout the morning activity. 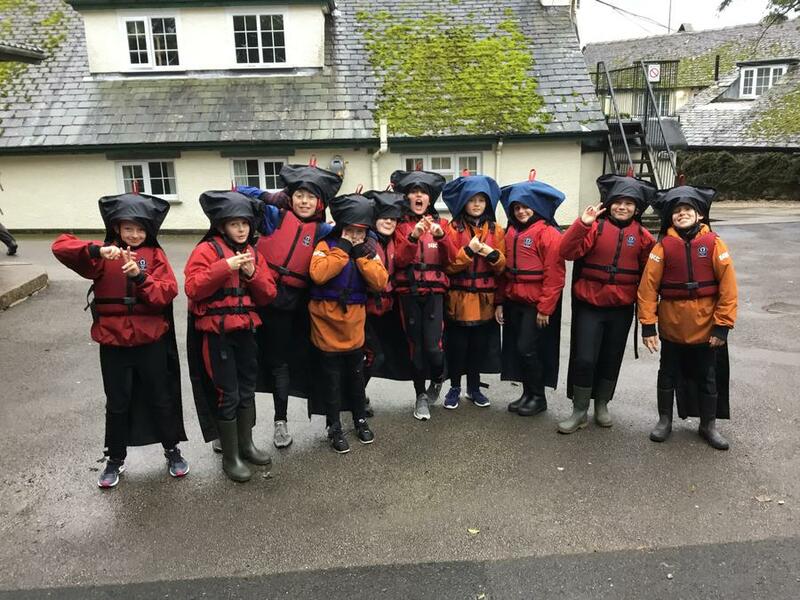 After being initally a little apprehensive about kayaking, Sam listened to every single instruction and piece of advice and his confidence rocketed! 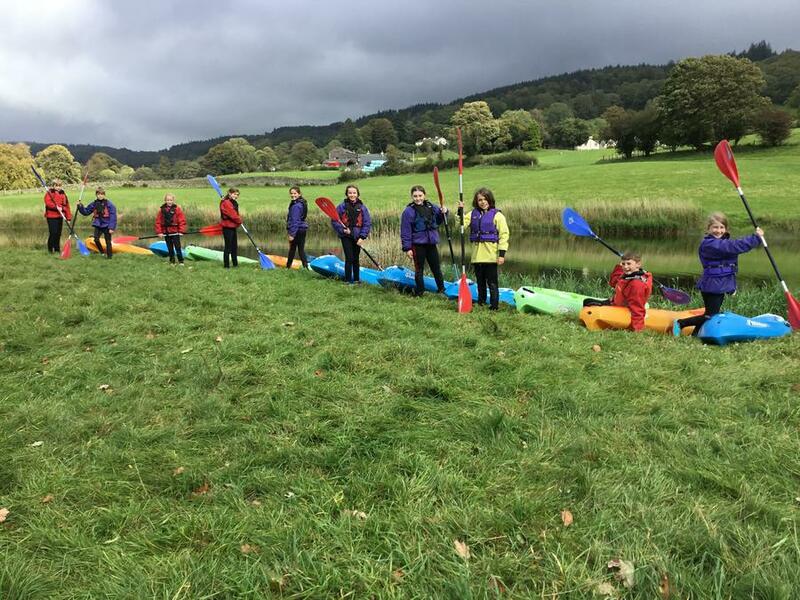 Sam’s determination to succeed was utterly impressive and he was a kayaking expert by lunch! Sorry it’s taken so long to post this, we uploaded the photos whilst the film was on. Another successful day here, I’m so proud to be the teacher of such kind, funny, supportive and resilient children. I am certain you will all be equally as proud when you hear all the stories on Friday. Hello all from Low Bank Ground! Firstly, I’d like to say how impressed I was with how clean and tidy the coach was when we arrived earlier today. 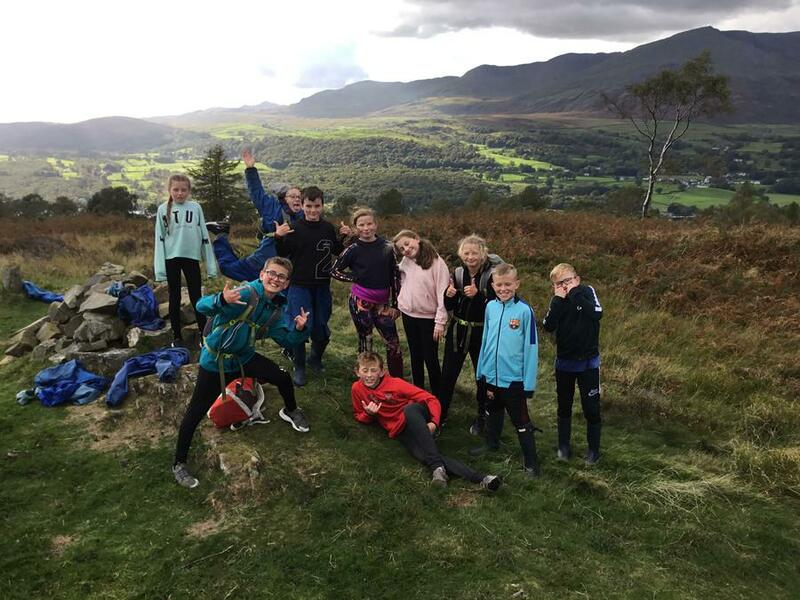 There wasn’t a single piece of rubbish left behind, well done Year 6! 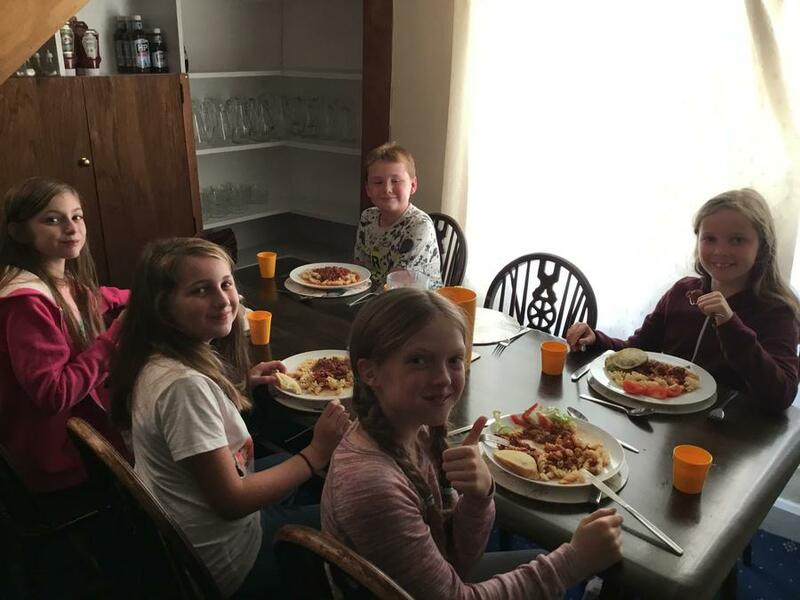 Once we arrived, the children found our their bedrooms and activity groups. All children are happy with their roommates. 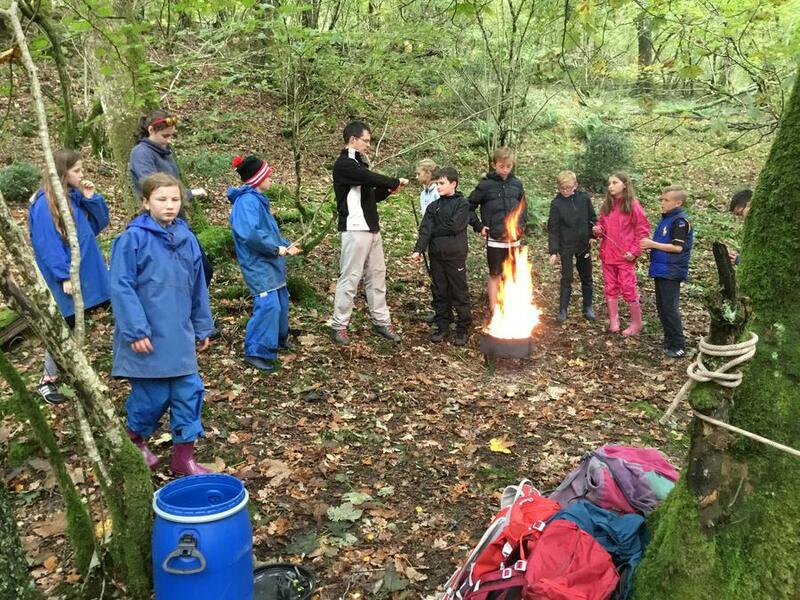 We have three activity groups this week. 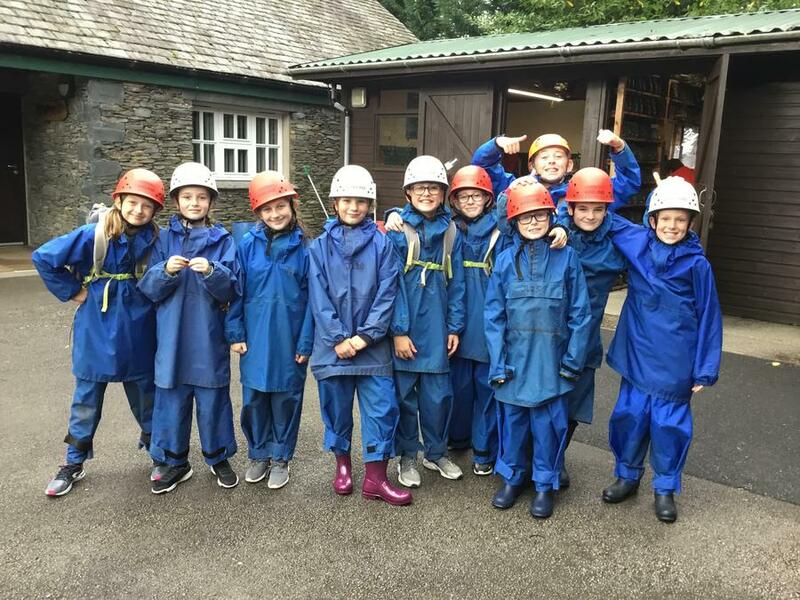 Group 1 are with me (Miss Dickson), Group 2 with Mr Taylor and Group 3 are with Mrs Redding and Mrs Boardman. 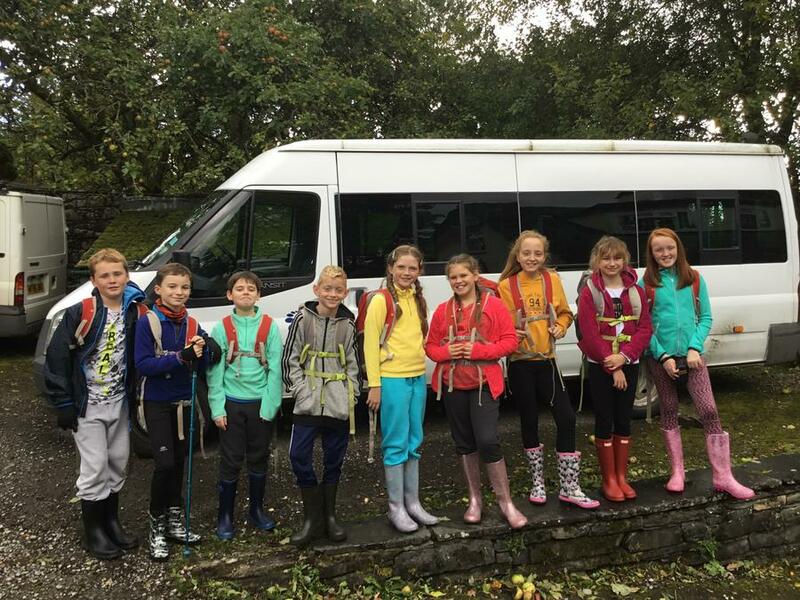 Group 1: Ashton, Tom, Liam, Evan, Sarah, Dimitra, Georgia, Faith, Shannon and Holly. Group 2: Charlie, Noel, Colby, Louie, Gabe, Matthew, Claudia, Lily, Olivia and Gemma. 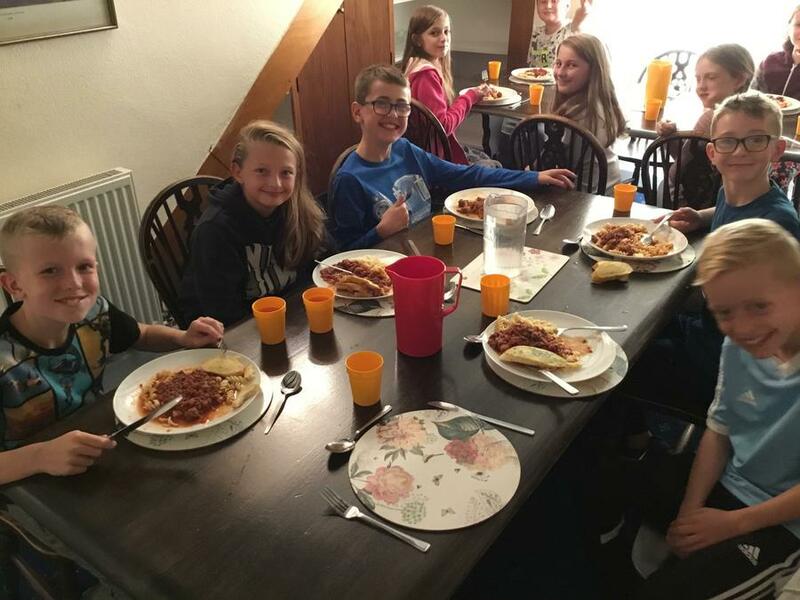 Group 3: Noah, Ethan, Sam, Thomas, Isabelle, Leila, Evie, Erin and Amelie. 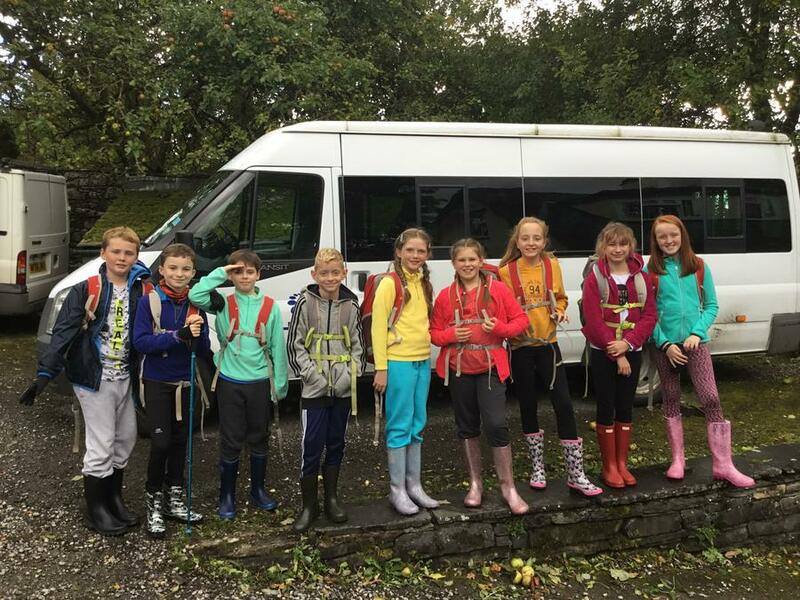 All three groups went out in minibuses and went for a walk. 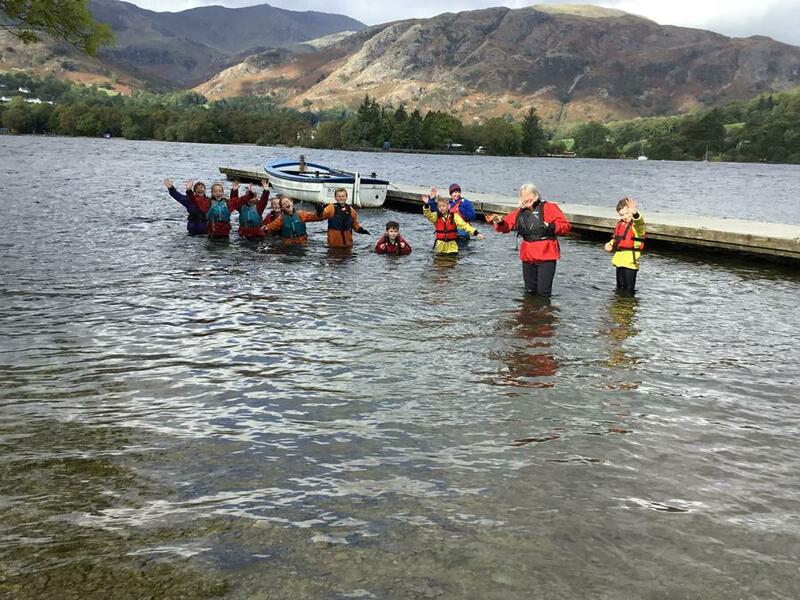 The different groups did slightly different things whilst out walking. 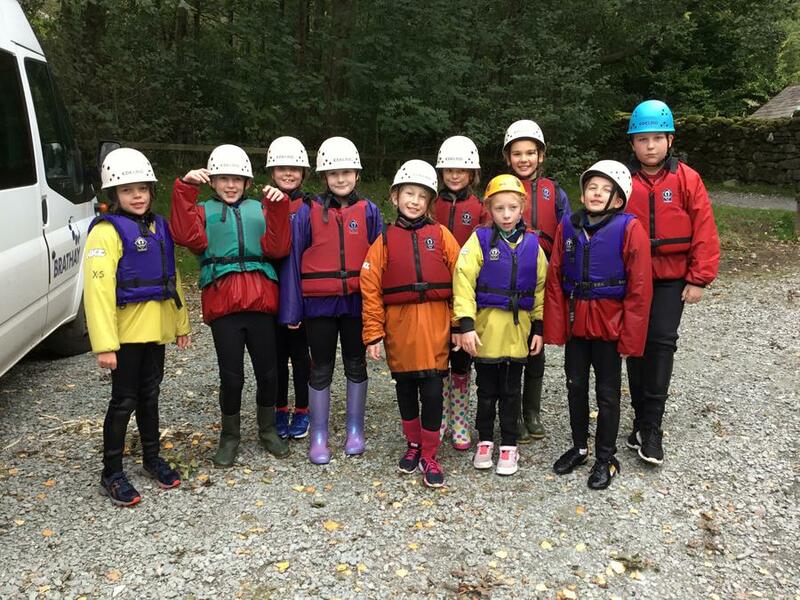 Group 1 were able to go ‘face planting’, Group 2 had a go at ghyll scrambling on a small scale and Group 3 were able to squeeze through small spaces! All children had lots of fun and are excited to find out what they are doing tomorrow! This evening, we have played a game on site called Aliens. 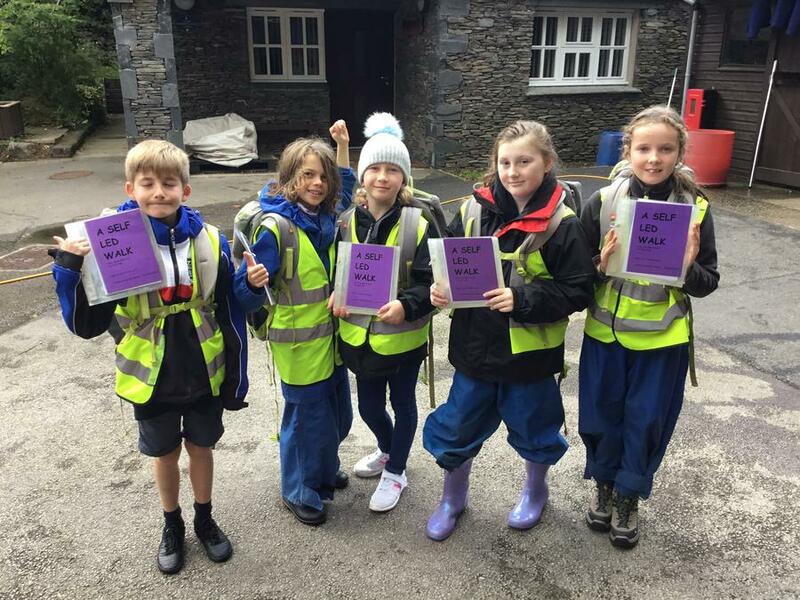 The children worked in pairs to search for alien cards around the site and remember key information on the card. The winning prize was a teamwork Spirit of the Games band. Shannon, Lily and Evie all worked well and were deserving winners of the first bands of the trip, well done girls! Each day a different quality will be looked for by each group leader. All children are now cosy and comfy watching half of a film before they go to bed. We’ve had such a wonderful first day. 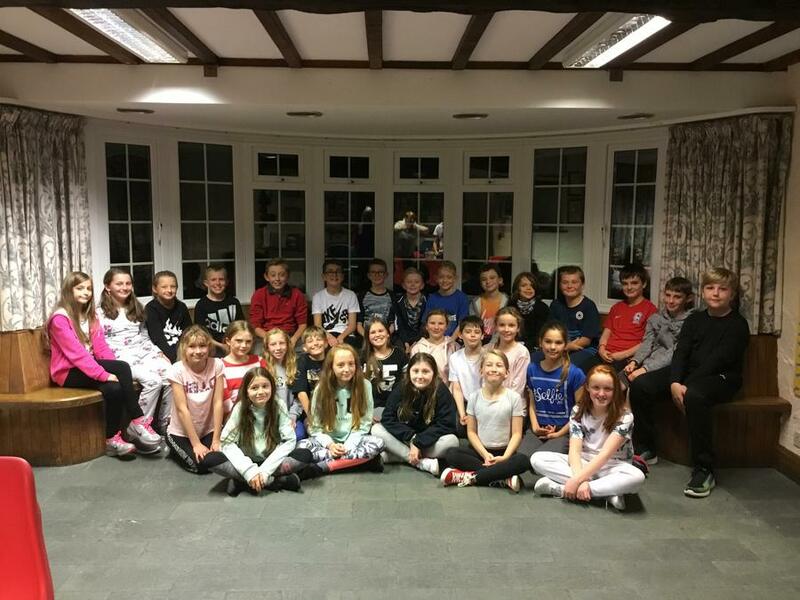 All children are settled, happy and excited about the week! Tomorrow I will provide a more detailed blog for each group as we will have done two separate activities each.